This is the site of a temple said to have been built by the wife of Motohira, the second Fujiwara lord. 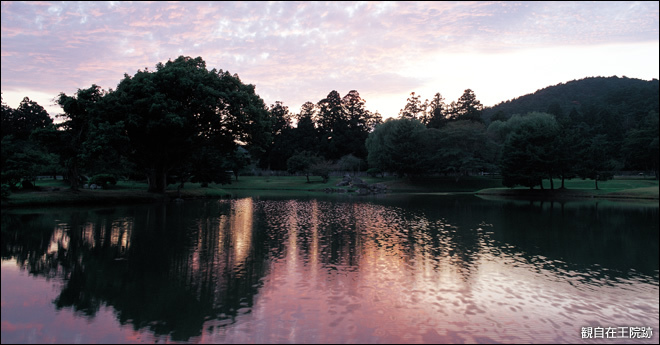 The almost complete remains of the Pure Land Garden are thought to follow the recommendations written in the oldest Japanese gardening book Sakutei-ki, which was written during the Heian period. Based on the large and small Amida halls built on the north shore of the pond, it is thought that the garden represents the Ultimate Bliss of Pure Land.